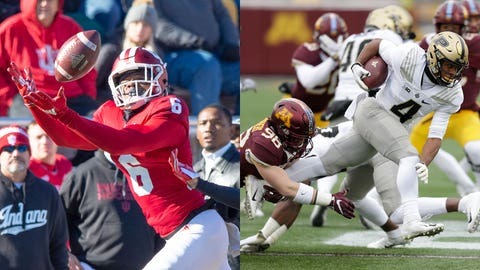 Wide receiver Donavan Hale and the Hoosiers are coming off a win over Maryland, while wide receiver Rondale Moore and the Boilermakers lost to Minnesota. Indiana coach Tom Allen understands the challenges his team faces this weekend. No. 4 Michigan is the Big Ten’s highest-ranked team and the one most likely to carry the conference banner into the College Football Playoff, if any team does. The Wolverines have won nine straight since losing to No. 3 Notre Dame and need another win to set up a showdown with No. 9 Ohio State for a ticket to the Big Ten championship game. Allen, of course, also knows the refrain echoing throughout his home state: Indiana hasn’t won at Michigan since 1967. None of it matters to the Hoosiers, who ended a four-game losing streak Saturday and now need one more win to become bowl-eligible. Saturday’s victory over Maryland should give the Hoosiers (5-5, 2-5 Big Ten) more than just an energy boost. 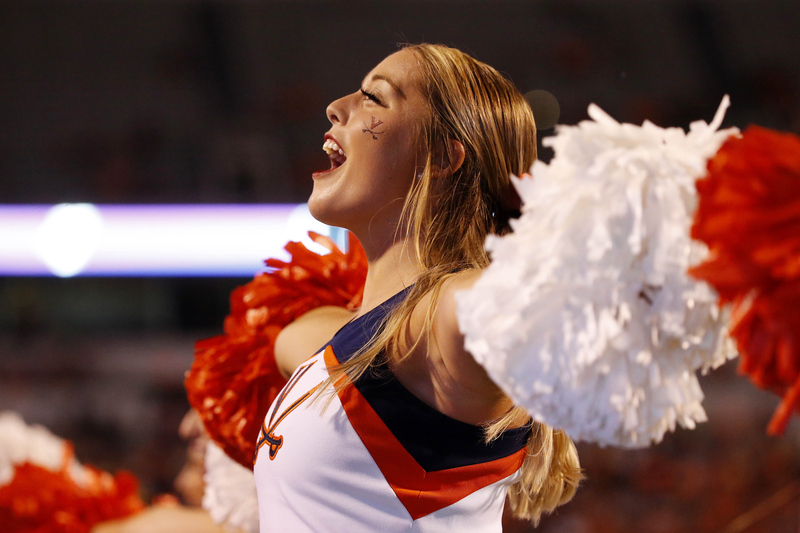 They desperately needed a home win to build some momentum for the home stretch and to give themselves a realistic chance of becoming bowl-eligible for the third time in four years. Allen made points perfectly clear to his players last week when he decided to discuss the postseason situation, something he did not do in 2017. Indiana responded to Allen’s message by using Steve Scott’s long run to set up a 42-yard field goal with 2:32 left and then forcing a late turnover to close out the crucial 34-32 win over Maryland. Now comes the harder part, winning No. 6 at either Michigan this weekend or at home against bitter rival Purdue in its home finale. For programs like Indiana’s, this time of the season can be challenging as speculation runs rampant about bowl destinations and coaching changes. Just ask Purdue (5-5, 4-3), which is in a similar predicament, though, in part, for a very different reason. The Boilermakers, who lost at Minnesota on Saturday, also need one win to become bowl-eligible. They host Wisconsin (6-4, 4-3) on Saturday before visiting Bloomington the following week for a potential winner-takes-all regular-season finale. The chatter around Purdue became more complicated after Louisville fired coach Bobby Petrino on Sunday and Boilermakers coach Jeff Brohm immediately jumped to the top of his alma mater’s wish list. Brohm was peppered with questions about the opening Monday and tried to downplay the rumors emanating from his hometown. Brohm has become a frequently mentioned candidate on the coaching carousel, especially after beating expectations each of his first two seasons at Purdue. Last year, he led the Boilermakers to a bowl game victory and last month Purdue blew out Ohio State in one of this season’s most shocking upsets. But Allen, like Brohm, has only one goal this week: Beating a good opponent this weekend so they don’t have to fret over the stakes next weekend.